The NSW Government’s Active Kids Program has arrived with the January 31 starting date upon us. 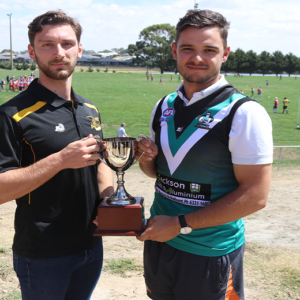 In preparation for the Active Kids launch, AFL NSW/ACT has been working hard with the NSW Government and the Office of Sport to ensure that our registration systems and processes are ready for the influx of registrations for NAB AFL Auskick and Junior AFL. 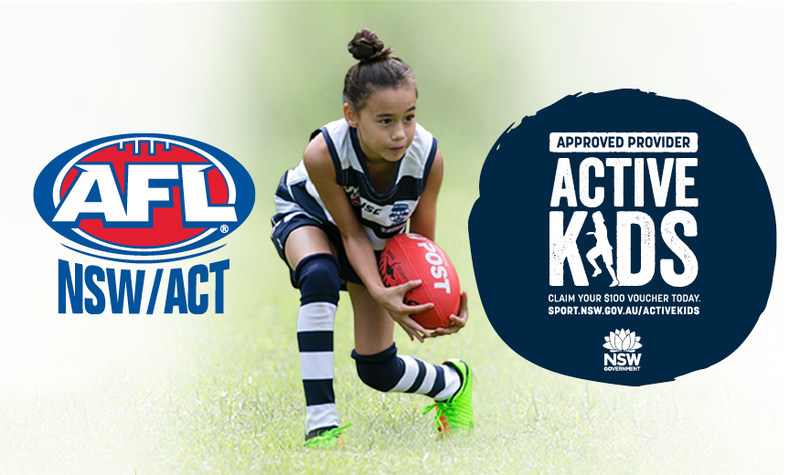 As such, all AFL NSW/ACT leagues and clubs in New South Wales are approved providers for the Active Kids program. The NSW Government will provide a $100 voucher to parents/guardians of school enrolled children. 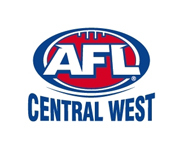 The $100 voucher can be used for registration and participation costs for sport and fitness activities, including for NAB AFL Auskick and Junior AFL. 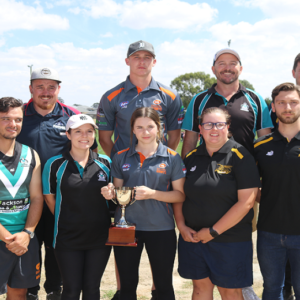 The initiative aims to reduce barriers to participation and help change the physical activity behaviours of children and young people in New South Wales. Every child (4.5 – 18 years’ old) enrolled in school from Kindergarten to Year 12 is eligible. This includes those who are home-schooled or enrolled in secondary school education at TAFE NSW. HOW DO YOU DOWNLOAD THE VOUCHER? From 31 January 2018, parents/guardians/carers with legal responsibility of an eligible child resident in New South Wales will be able to download a voucher from an online platform. The platform will be run by Service NSW and can be accessed through their website, by clicking here. HOW DO I USE THE VOUCHER DURING MY FOOTY REGISTRATION PROCESS? Complete an Active Kids application through your MyServiceNSW Account. You will receive a voucher with a unique ID number for each child you register (available to download, print and email). 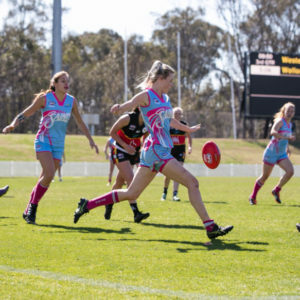 For new recruits, head to play.afl to register for the 2018 season. During the registration process, look out for the voucher entry field to receive your $100 off, upon verification of your valid voucher. P.S. Our system talks to their system, so voucher verification will happen immediately! WHAT IF I REGISTERED FOR AN ACTIVITY OR SPORT LAST YEAR? You won’t receive a voucher for last year as the program has been introduced in 2018, but you can get a voucher for this year’s activity or sport. WHAT HAPPENS IF MY CHILD LIVES OUTSIDE OF NEW SOUTH WALES? To be eligible for a voucher, each child must reside in New South Wales. The club or activity provider where the child registers must also be located and operating in New South Wales. My child lives in NSW but plays in a local club located in VIC – the child is eligible to claim a voucher but cannot use the voucher at a club operating outside NSW. They can use the voucher at an approved NSW provider. Please watch this space for further updates.